Sports buildings are major pieces of infrastructure, and present unique challenges for cities hosting big international events such as Asian games. The stadium needs to accommodate a large number of people during the event, and yet be a useful building for its local community afterwards, sustainable in the long term, both environmentally and economically. 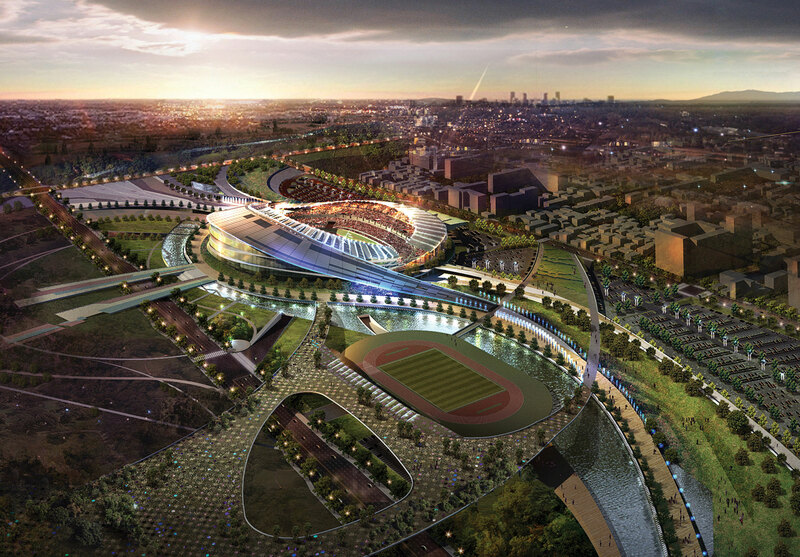 The design of the main stadium for the 17th Asian games in Incheon, in South Korea, illustrates a new level of sustainable design in stadia in Asia. 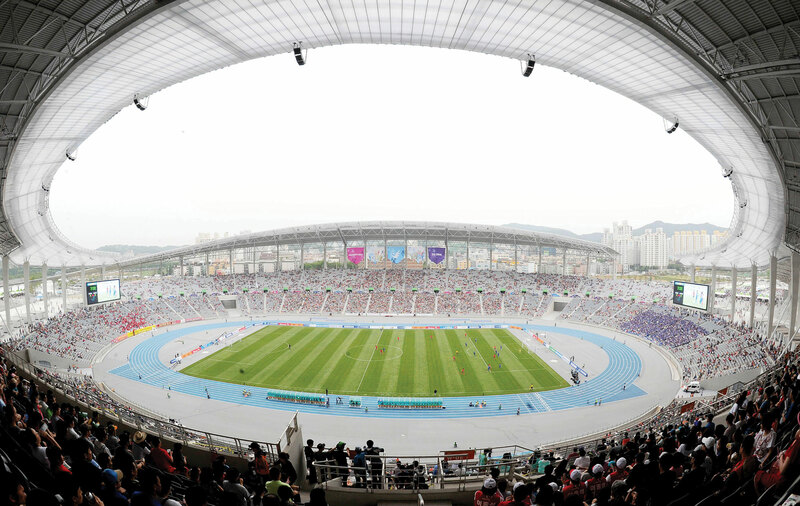 The stadium will hold 70,000- people for the main event in 2014 and will reduce down to a single sided grandstand for 30,000 afterwards as a People’s Park for the city of Incheon. 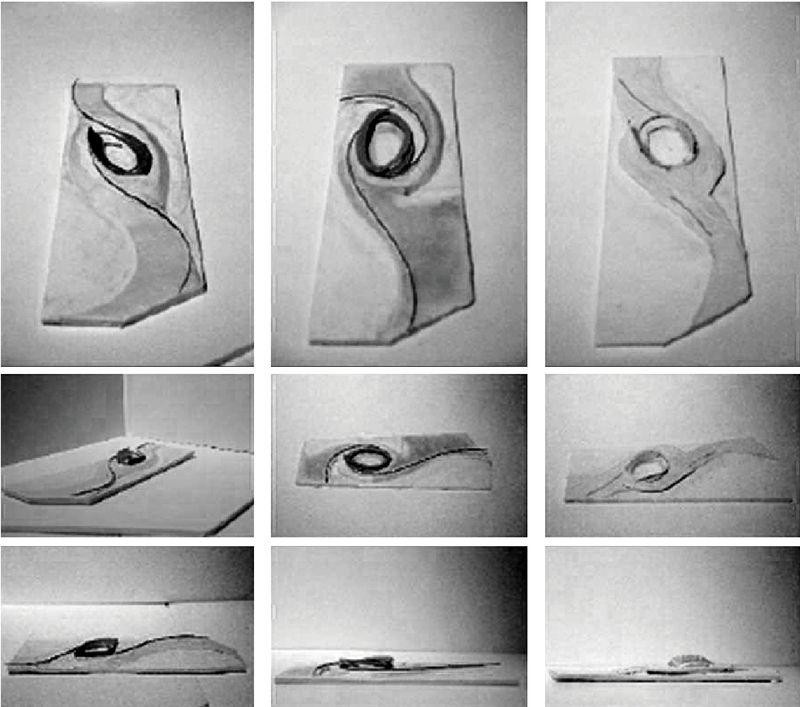 The stadium explores the successful marriage of temporary and permanent making certain that only that which is essential will remain after the main event. 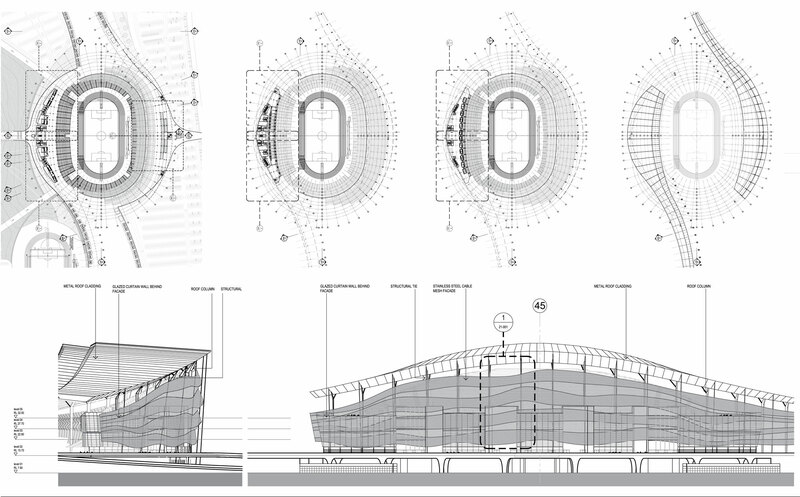 The stadium design is based on an asymmetrical configuration with the main corporate and management facilities located on the permanent western side, creating a more efficient design, both in terms of construction and operations. 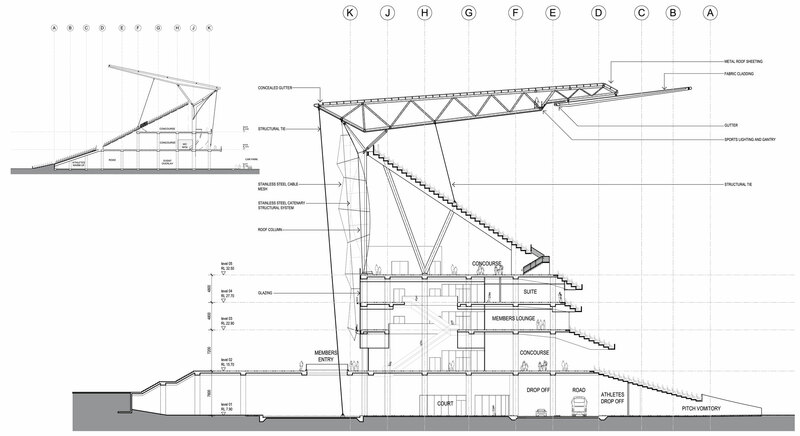 The Eastern side will be a lighter solution, the temporary modular seating structure will disappear after the games, and the stadium reduce down to the single sided grandstand. The building will link into the surrounding parklands; integrate into the landscape, provide an open accessible gathering place for the people of Incheon.